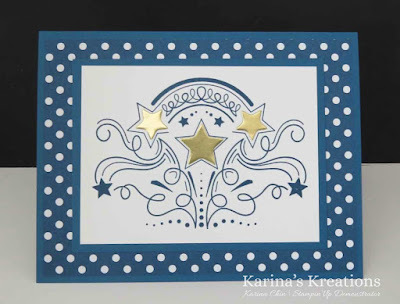 Karina's Kreations: Stampin'Up Birthday Blast! 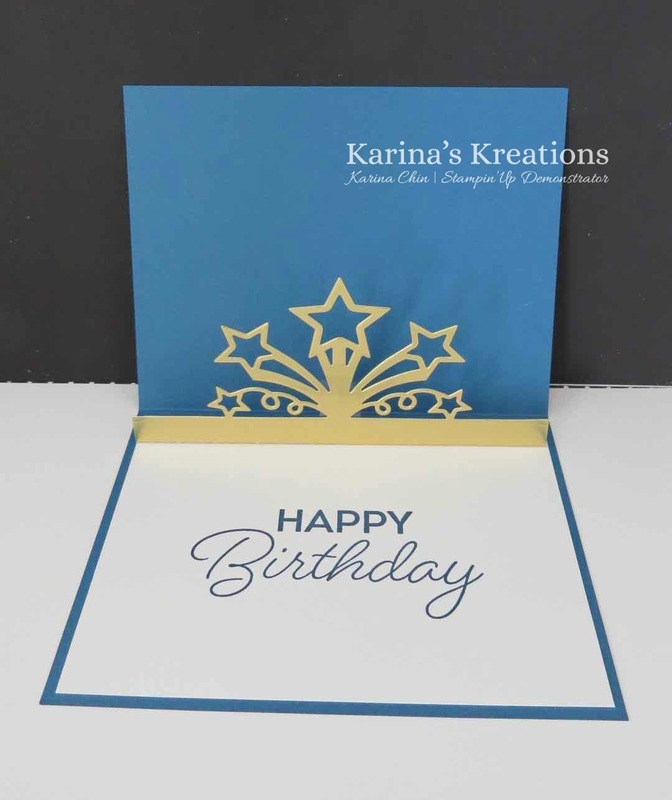 The Stampin'Up Birthday Blast bundle makes fun pop up cards. I used the Star Blast Edgelits Die and cut the pop up piece from 3" x 5-1/4" gold foil card stock. I scored the bottom edge at 1/4" and attached it to the inside of the card. You can save 10% when you buy the Birthday Blast stamp set and Star Blast Edgelits dies as a bundle #144716 $44.00. I used 2016-2018 Dapper Denim In Color Designer Paper Stack #141408 on my card.